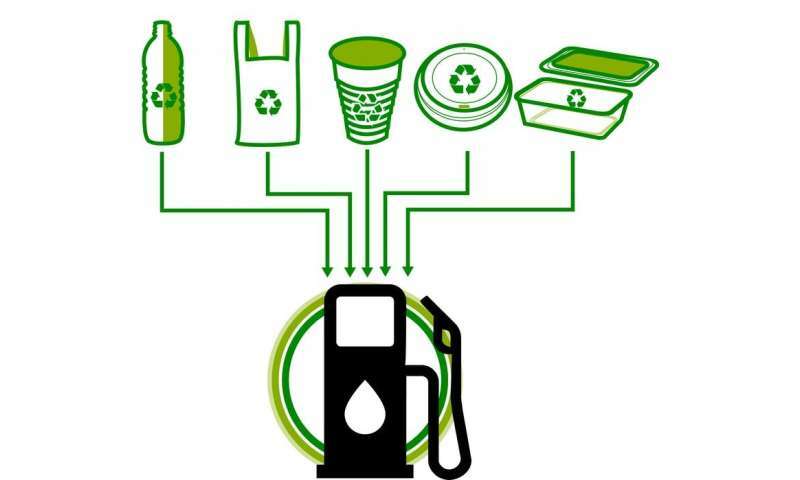 If we can't recycle it, why not turn our waste plastic into fuel? Australia's recycling crisis needs us to look into waste management options beyond just recycling and landfilling. Some of our waste, like paper or organic matter, can be composted. Some, like glass, metal and rigid plastics, can be recycled. But we have no immediate solution for non-recyclable plastic waste except landfill. Worldwide plastic production is predicted to increase by 3.8% every year until 2030. Flexible, non-recyclable plastic materials are used in an increasing range of applications like packaging, 3-D printing, and construction. We need to expand our range of options for keeping this plastic waste out of landfill. One potential approach is "plastic to energy", which unlocks the chemical energy stored in waste plastic and uses it to create fuel. Gasification involves heating the waste plastic with air or steam, to produce a valuable industrial gas mixtures called "synthesis gas", or syngas. This can then be used to produce diesel and petrol, or burned directly in boilers to generate electricity. 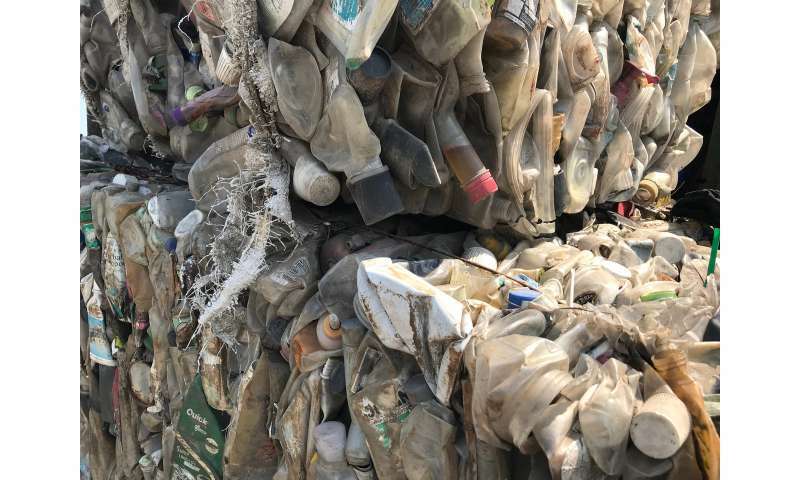 The result of these attempts to change the plastic into a fuel means that less other fossil fuels will be needed and so there might be the same degree of air pollution but less waste of materials in being disposed of in the sea. We need more subtle chemical processes so that plastic can be converted back into useful plastic again.